The heartbroken parents of a schoolboy who took his own life after being blackmailed on social media have claimed the teen's death could have been prevented. The grieving couple have broken their silence to help others in a bid to prevent another family going through what they have went through. In an interview with the Irish News Ronan Hughes' father Gerard describes the discovery of the 17-year-old's body as the "worst experience of his life". 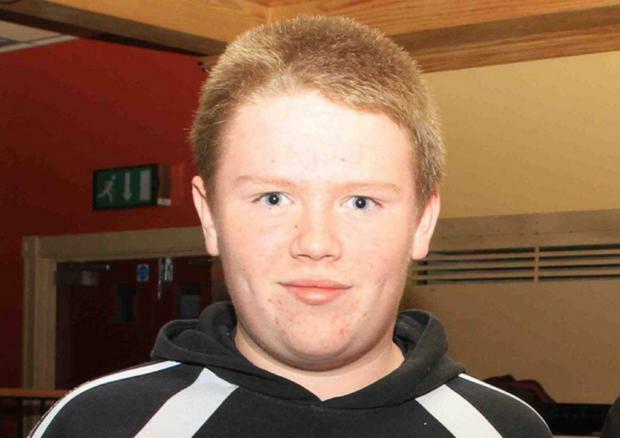 The teenager from just outside Coalisland, Co Tyrone died on Friday June 5 in a tragedy that has brought calls for greater awareness of the dangers being posed by the worldwide web. His parents speaking out for the first time told how the St Joseph's Grammar school pupil became a victim of a blackmail plot over images he posted on a social media site after receiving photographs from a girl. The PSNI have since traced the site to Nigeria and closed it down within two days. His mother, Theresa Hughes said: "We decided to speak out as this is something that could have been prevented. A child with mental illness maybe can't be stopped from taking their own life. But to think that Ronan was living life to the full and then all of a sudden something like this can pop-up and take his life...that's why we had to act. Just a week before his death Ronan had enjoyed what he called "the best night of his life by far" watching rock band the Foo Fighters at Slane Castle. The teenager's parents believe he would still be alive if the PSNI had handled the case quicker. Ronan confided in his parents three days before his death about a fake Facebook account threatening to send images to his online friends unless he paid more than £3,000 within 48 hours. His mother Theresa Hughes said: "He came to me and said I'm in trouble here. Mr Hughes immediately took Ronan to Dungannon police station where the gates were closed and they were told only one police officer was on duty. As they waited Mr Hughes recalls seeing threatening messages coming through to Ronan's phone telling him he had less than 47 hours to pay them and that "time was ticking". Mr Hughes said: "A policeman said to us there was very little they could do as he was there on his own that night. He scribbled down a few notes and told us to ignore the blackmail. He told us to come back the next morning. "If the police had given Ronan reassurance and said 'We'll contact IT experts, we'll close this down, we'll stop that - Ronan would still be here today, that's why he came to us, he wanted help." Mr Hughes' concerns about his son grew as the schoolboy turned to his father in the car and said, "I think I've just committed social suicide, dad." They returned to the police station the following morning where they spent several hours. They were told again to ignore the blackmail and Ronan's phone was taken by police. They waited over the next two days to hear from the police but they didn't hear anything. Mr Hughes aid: "We were very disappointed but we sat Ronan down and told him that if the images were published it would blow over in a couple of weeks and we'd deal with it. We told him it wasn't the end of the world. "I had a chat with him on the Thursday night. I asked him if he was okay about the fact the images might appear the next morning and he replied. 'whatever'." The next morning a friend contacted the teen to say she had received a link containing private images but she had not opened them. He telephoned his mum to tell her and she told him "not to worry" before phoning her husband who left work early as he had a "bad feeling." When he returned home he found a pile of notes sitting and on one Ronan had written "back field". "I knew instantly where he was. That was the worst experience of my life, gong round that corner. I can't get it out of my head at all. "If those images hadn't been posted on Friday morning, I know that Ronan would still be sitting here." The couple have said they have been "overwhelmed" by the support they have received in the 10 days since Ronan's death. They wish now to raise awareness of how "naive" parents can be in relation to social media. Mr Hughes said: "There's no point in a parent taking a phone off a child when they don't know what they're doing themselves or how to access the technology themselves. "My13-year-old knows more than I do and it's not right. We just don't want this tragedy to happen to anyone else." In a statement issued to the Irish News the PSNI they planned to meet with the Hughes family in the coming days. • If someone has made you feel uncomfortable or you have had disturbing interaction online, tell someone you trust. Are parents fighting a losing battle with the internet?